However, this trend is relatively new and you might not be sure how to wear them for your body type. Here I have rounded up a few tips for every body type to help you rock this trend. Let’s get started. 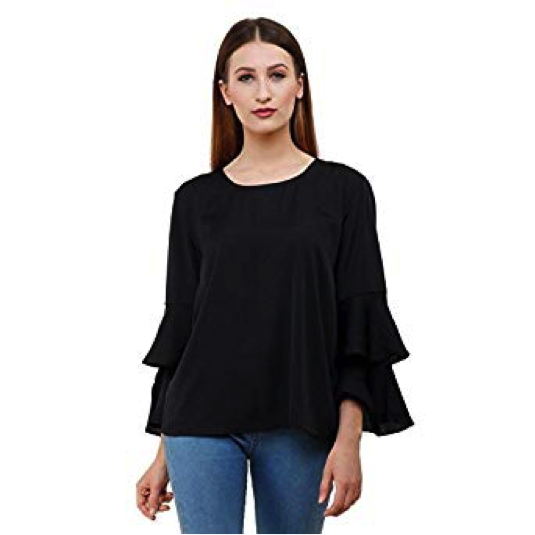 The fashion designers and stylists say that one should opt for a plain and right sized cut out top as it will flatter the figure the right way and the same goes for every other tops you choose. If you have an Apple shaped body, your area of trouble is the tummy. So, drawing attention away from your middle and up to your gorgeous shoulders, arms and face is an amazing way to go. Look for styles that float over your stomach like the ones having ruffles and a stretchy material as it will drape nicely at the waist area. Also opt for 3/4th sleeves with long ruffles as it will look flattering. To have that flattering look, it is also important to choose dark colours like black, dark brown, navy blue, plum or other dark colours. Floaty cold shoulder casual dresses are also perfect for an apple shaped body. 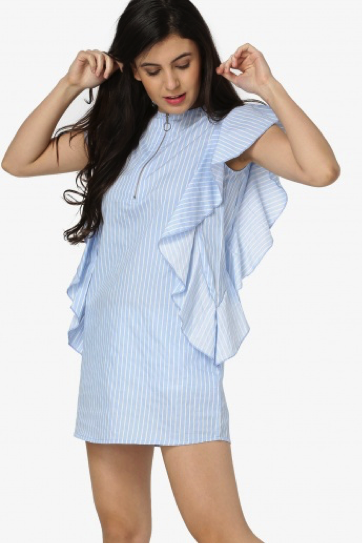 If you have a pear shaped body, cut out shoulder trend is great for you because it will draw attention to your upper body and not on your hips. Look for tops that have bright prints, butterfly sleeves and tons of detailing. Fitted style cut out tops are best for showing off your flat stomach. Choose a solid colour for your skirt or pants, this doesn’t mean that you should go for black pants/skirts. Opt for a darker shade than your top. Fit and flare cut out off the shoulder tops and dresses are your best friend. Even though are blessed with symmetrical curves, you still need to be conscious of what to put on your body type. Don’t opt for cut out tops that gather up at the bust line, are baggy through the waist or can’t be tucked or belted. 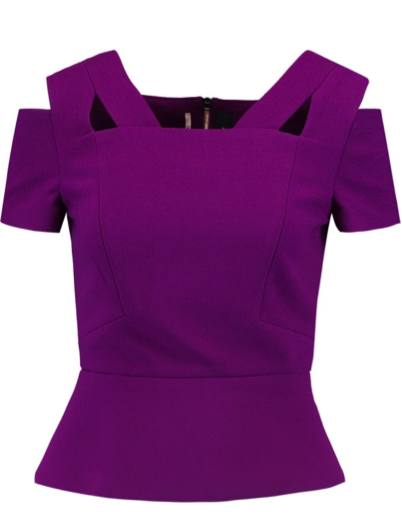 The cut out tops for the hourglass body shape should be softly gathered focussing on your figure. Tops that have smaller gathered sleeves look lovely o your frame and give that feminine feel. You can opt for plain cut out casual tops. If you have this body type, then a cold shoulder top or dress with a v-neck will definitely be the most flattering, but surprisingly the higher necks work too, here you can go with Sculpt's cut out casual purple top. The cut out design of cold shoulder tops don’t make your body look wider and the onlooker’s eyes are stopped at your beautiful shoulders. A slightly fitted style is best if you have a full bust and also avoid stripes. You’ll want to keep your neckline fairly simple. These are few of the tips to help you rock the cut out tops trend and as you can see there’s a style for every body type so I encourage you get started right away.